We're no strangers to detective work here at the Junkyard, so naturally I headed to Google to see if there was more info, and lo and behold a Wikipedia entry was presented to me: Demolition Racer has a secret light gun game hidden on the disc! I'll be honest here. I couldn't be arsed trying to discover how to unlock the thing myself, so I powered up Speud's VMU Tool, copied an 'everything unlocked' file to a VMU and dived into the game. 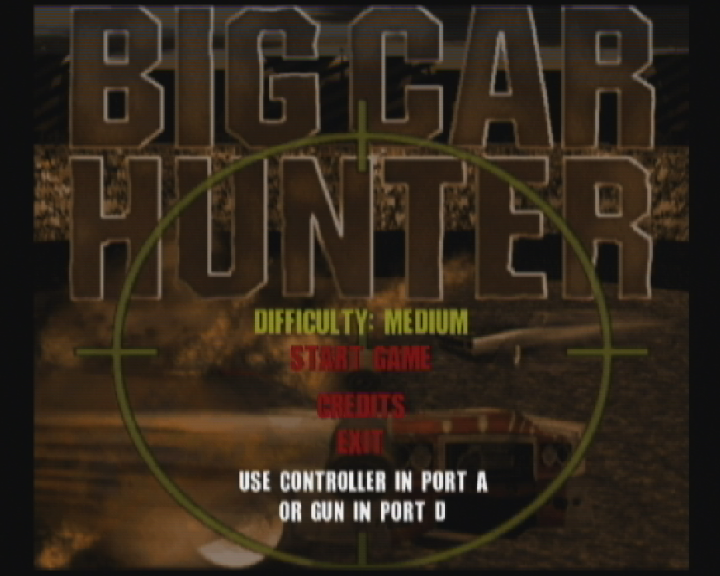 It didn't take long for me to find the 'Big Car Hunter' mode in the extras menu, and after plugging a gun into port D as requested, I was shooting cars like an Olympian taking a piss in a Brazilian gas station. Or shooting fish in a barrel. One of the two. What? Never mind. 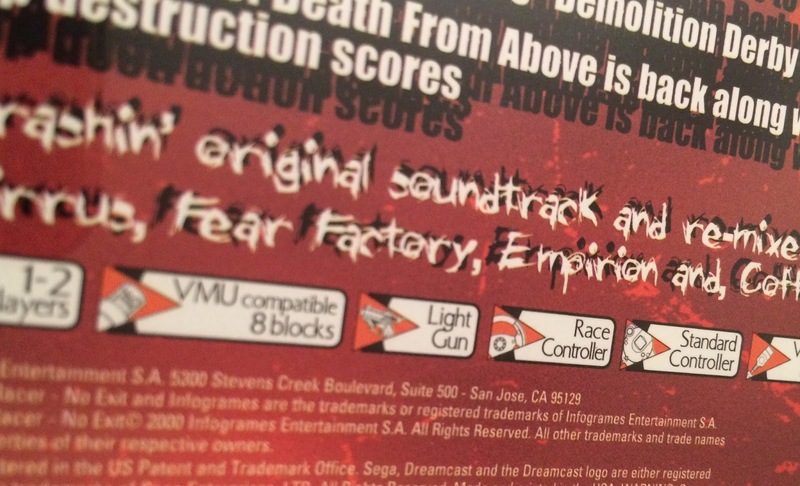 So the moral of the story is this: the next time someone asks you to name all the light gun games on the Dreamcast (it happens more often than you'd think), remember to name check Demolition Racer: No Exit, too. 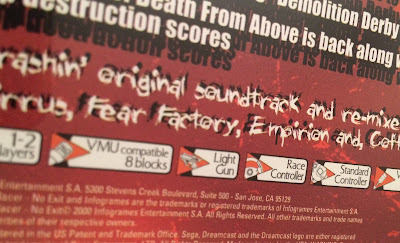 Note: the Wikipedia page for Dreamcast light guns also lists Star Wars Demolition as being compatible with the light gun. It isn't. It lets you navigate the menus, but isn't usable in game. Just so you know. This was great, interesting story and witty writing. Spot on! 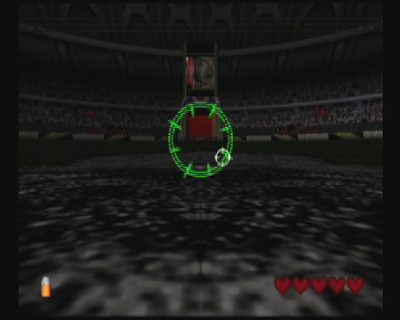 Just in case you want to know, the scoring system in the game works like this: you earn points during the race by hitting and destorying other cars (there are also some power-ups on the tracks that give you points), and at the end of the race, you (and every opponent) get a multiplier based on your position in the race. The higher your position is, the higher the multiplier is, with 1st place obviously being the highest. 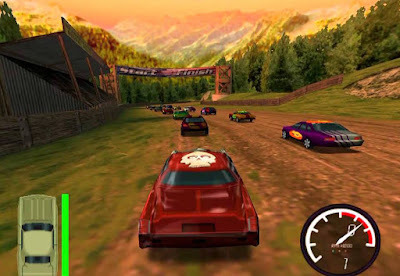 The final score in a race = your collected points * your achieved multiplier. 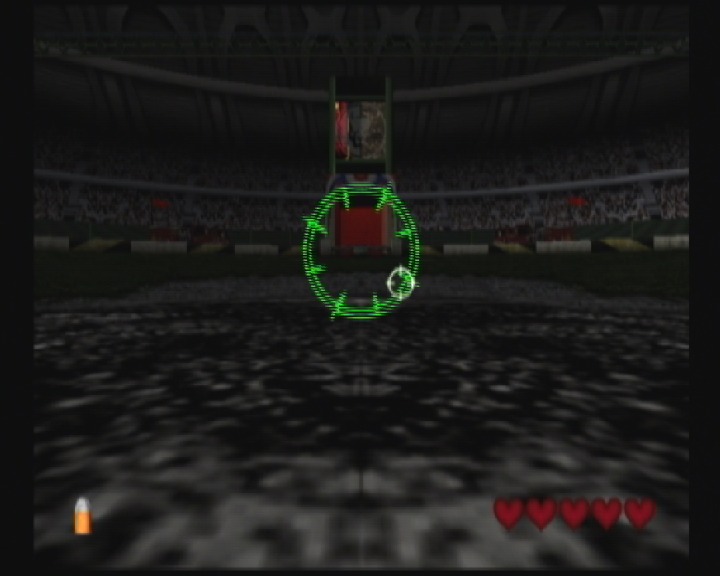 So the game has a bit of a strategic element to it: you have to spend time in the fray earning points for a few laps while also not killing yourself, then race forward to get the best position possible. You can't win just by doing one or the other, it has to be a combination of both. Knowing this, I think you will find it a much more interesting and fun game. Great content as always, Tom. Your website remains the definitive source for all things Dreamcast. 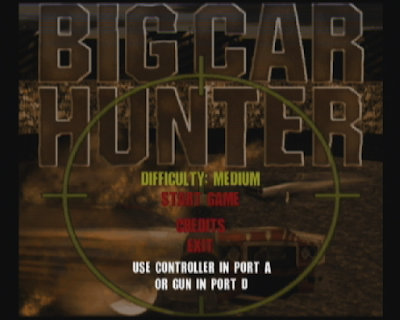 I had no idea this game had lightgun support, despite how minimal it is. Thanks everyone for your comments. Damon - no me neither. It's crazy how much new stuff I discover about this console even now!